Can I upgrade my kitchen simply by replacing worktops on my kitchen units, using granite or quartz? Yes – a significant proportion of our customers are doing just this. Good quality kitchen units can outlast a laminate worktop by many years, and we have even had customers giving their kitchen a makeover by replacing granite with granite or quartz. The trend towards painted units has helped with this option too; older units have a new lease of life with a coat of paint, and the kitchen can have a complete makeover with the addition of a new, high quality solid stone worktop. 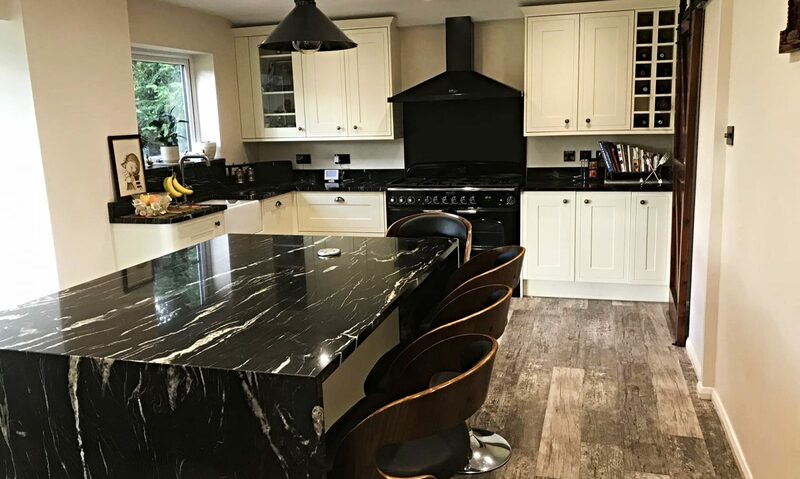 Given the value of the description “granite worktops” on an Estate Agent’s blurb, some customers have clearly made this upgrade precisely with a view to enhancing the desirability of their property. Will my existing kitchen units take the weight of the granite worktops? Some older, budget, units can be lacking in strength at the back. Because of the additional stress of the swinging door, the cheapest units tended to have most of the reinforcement at the front. In general, strengthening of the back of the unit with vertical internal battens or battens on the wall will help. ANY rot in the actual units needs to be dealt with, and probably by scrapping the units. Putting costly and weighty granite or quartz worktops on units that really need to go is a false economy. If replacing worktops, are there other issues with kitchen units which I should be aware of? Very frequently, due to poor original fitting or settling of the carcasses over the years, kitchen units are out of alignment and level beneath the worktops. This issue becomes painfully obvious when templating and fitting new worktops. Any remedial or levelling work on your kitchen units should really be done by specialists. Prior to templating, the units must be sound, able to bear the weight of stone, and well aligned and levelled. Adjacent units should be visibly at the same height, with overall height variation no more than 3mm. The units’ front edges must be in a straight line. If, on removal of the tops, the units do not meet these requirements, corrective work must be done before templating. Will the solid stone worktops be the same thickness as my old worktops? Not normally, no. Most laminate and wood worktops are around 40mm thick; our granite worktops are 30mm (±2mm) thick. We occasionally fit quartz worktops (which have greater tensile/flexural strength) at 20mm thick, although this tends to be on extremely contemporary-style units which are less likely, at present, to be seeing their worktops replaced. What difference does worktop thickness make? • Removing the old worktops without damaging the tiles – this can be tricky, especially if the tiling has been grouted onto the old worktops. Bear in mind that broken tiles may be impossible to replace. • Making up for the lost thickness in the worktops – there will be a gap that needs filling. • Using the adjustable legs in some units to gain a few millimetres – occasionally an option. • Packing up the worktops with plastic or MDF to gain the height. This may not be a good idea if there is to be an open-plan area with seating where the eye-level may actually be at worktop height. However, this can be minimised by painting the MDF to blend in with the colour tone of the worktop. • Using an upstand to cover the gap. This can be over the tiles, or under the second row of tiles having removed the first row. The upstand can be cut to size so as to bridge the gap well. Some customers may feel that having an upstand with the tiling may be too “busy”. • Using extra silicone to fill the gap. If the filler is matched to the tiles/grout this can be surprisingly effective; the extra 10mm do not look as excessive as might be thought, provided the grouting-gap was not excessive in the first place. When does templating occur? When replacing worktops, can you template with the old worktops still on? It is possible to make a template with the old worktops on, but our experience of poor templates, uneven overhangs and a generally bad basis from which to work is such that we insist that in ALL cases the worktops are OFF for templating. Not least, it is impossible for our templater to make a proper evaluation of what is under the worktops, what support issues there may be etc., with the old worktops on. So get your tops off, please! If a template visit is booked and our template arrives to find the worktops still on, we may have to apply an abortive template visit surcharge to your account. Will Affordable Granite remove my existing worktops? 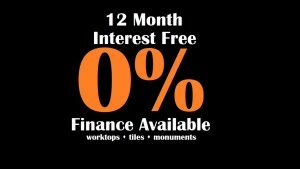 Affordable Granite does not undertake removal of worktops, relevelling or other remedial work on kitchen units, nor the disconnection and reconnection of water, gas or electrical services. We do not subcontract, but do have regular contacts – trusted tradespeople who work in our area – who we can propose for removals. We can give a guide price for their work within our overall quotation, and customers then deal directly with them regarding payment, disclaimer letter etc. We are happy to liaise with them regarding dates and times. How do you remove laminate worktops? First you will need to disconnect the water, and electricity and gas. Care and competence are needed, and a Gas-Safe Registered tradesman must deal with a gas hob. It is usually possible to remove worktops with a cross-head screwdriver to unscrew the tops, and a 10mm open spanner to remove the bolt holding joined wooden worktops together. Sometimes, if the worktops have been glued down, a flat handsaw and/or a Stanley knife may be needed. You will also have to ensure that you have isolation valves on your taps. After we have installed your new worktops you will need to re-connect the services; flexible hoses help with the tap aspect. You may need to alter the plumbing under the sink. Even if you are re-using your existing sink you may need to alter the waste plumbing as the bowl will be slightly lower. How quickly can the new worktops be fitted? We are very conscious that, for customers who are replacing their kitchen worktops, the disruption to normal life is quite different from those who may have been without a normal kitchen for weeks. Basically, the worktop replacement IS the disruption. Conversely, given that the kitchen is fully working prior to our involvement, there may be less time pressure to actually get the work started quickly – what is critical is reducing the time with no worktops. Our recommendation is that a replacement top installation is booked well in advance, with the planned removal of the old worktops possibly being over the weekend. (Assuming a DIY removal, for a customer who has weekends off work!) We can plan well in advance for our templater to be with you on the Monday morning. The old worktops can then be put back on a temporary basis (probably without reconnecting the services) until we come back to install later the same week. With careful planning it is possible to reduce the gap between removal and replacement to only two or three days.